Introducing our NEW website and newsletter! Our team is dedicated to providing you with the highest quality of care. To us that includes keeping you informed of dental services, relevant health issues and topics to keep you smiling. With that in mind we would like to introduce you to our eNewsletter! This forum will be used to keep you up-to-date with regards to dental topics and news from around our office. This eNewsletter is for you, our valued patients. Please let us know what you think and feel free to offer us suggestions as to what you would like included in future issues. We would love to hear from you! Please note: Your privacy and preferences are important to us. You are free to unsubscribe from our newsletter at any time. Just click on the link at the bottom of this newsletter. This month we are proud to introduce our new website. 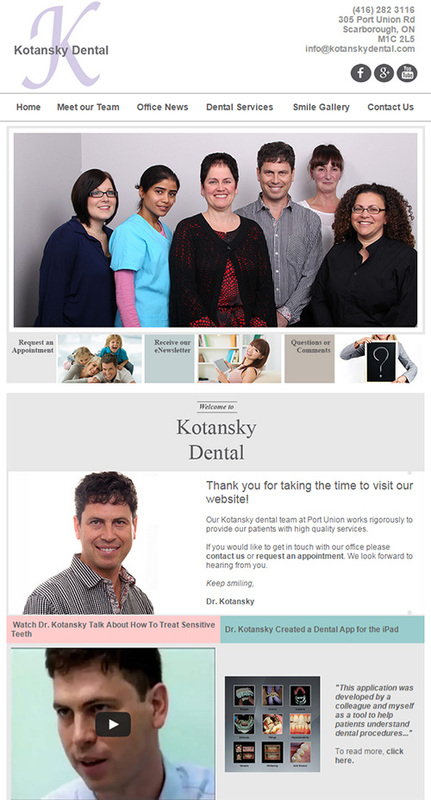 Allowing you to learn more about our team as well as dental services that may be of interest to you. There are many ways for you to interact with us from from the computer you are sitting at right now! Our new website is available to tour now! Click here to take a tour! (It also allows you to Request an Appointment).